Time to gear up for that holiday shopping! What better way then to get $10.00 in FREE groceries! 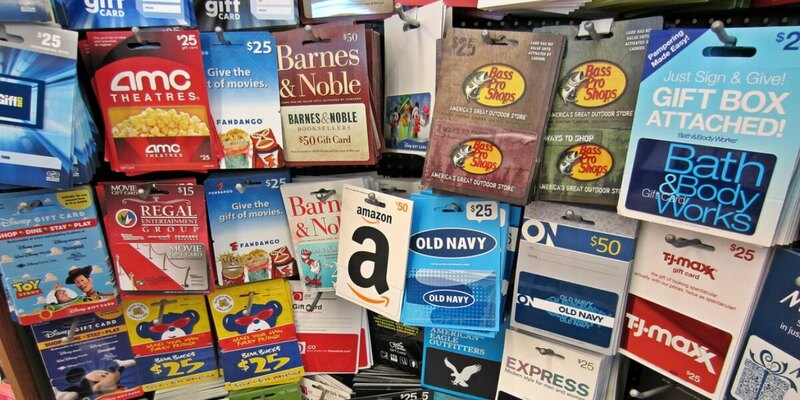 Starting 5/05 and running through 5/18 Stop & Shop has an awesome deal on Participating Gift Cards. The deal is Buy $100.00 in gift cards, and get $10.00 off your next purchase! The discount will Print on the BOTTOM OF YOUR RECEIPT so watch for you offer, and if you don’t get it stop at the courtesy counter. Giant – Martin and Select Stop & Shop regions have a similar offer, your deal is 4x Gas Rewards on the same featured gift cards. See your deal listed below! You can purchase $500 in Participating Gift Cards and earn 4 times gas points on this purchase. You earn 1 point for each dollar you spend at Stop & Shop, so if you bought $500 of these Cards during this promotion, you will earn 2,000 gas points, which is equivalent to $2.00 off a gallon of gas at participating Shell Gas Stations. You can fill up with UP TO 20 gallons of gas using your gas points. If you buy $500 in Participating Gift Cards you will have earned $2.00 off of 20 gallons of gas, which is equivalent to $40.00 in savings. So to summarize, with 2,000 gas points (which you will earn for buying $500 in participating products) you can get UP to $40.00 in FREE gas, assuming you can fill up with 20 gallons of gas. Giant – Martin Regions your Gas Rewards Deal is higher, since your cap is at 25 Gallons! You can score up to a $50.00 money maker at the pump! Awesome! Note: Please check your local ad before shopping to see which offer applies at your store. as low as $10.00 money maker! **2000 gas points gets you $2.00 off per gallon up to 25 gallons which is equal to $50.00 in gas.